Intake forms, affiliates and wellness resources to improve your health and treatment plans. Print and fill out your intake forms ahead of time. This can give you more time to write detailed responses to the questions and give your practitioner as much detail as possible to optimize your treatment plan. An extension of a complementary health clinic in Edmonton, Alberta, Optimal Fertility draws on extensive knowledge of both fertility and holistic medicine to provide herbal remedies, supplements, and other natural products that can give you a good head start. They see this resource as a starting point for prospective parents looking to gain knowledge and tools to help improve their fertility now, as well as for women looking to target many common health conditions such as PMS and painful periods. Their natural products are safe, pure, and effective — and the very same therapies we give to our fertility patients every day. 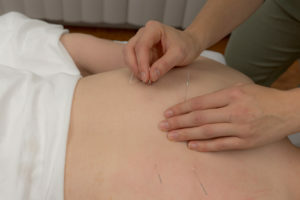 At Fort Saskatchewan Acupuncture, our practitioners prescribe a variety of patented Chinese Herbal Formulas specifically targeted towards treating your personal conditions, pattern and constitution. These are provided in either pressed cap form or in granules. We use high quality herbal extracts to ensure top quality, efficacy and safety. KP’s products represent over a century of expertise in the selection of herbs. This experience is combined with a state-of-the-art quality control system at the forefront of scientific development. We offer a variety of high quality supplements to optimize treatment plans and patient outcomes. Both AOR and BioClinic are Canadian based companies; dedicated to providing research backed, high quality and sustainable supplements. Along with lifestyle and dietary recommendations, we offer Harmonic Arts Botanicals products which include organic superfood mixes and elixirs. Also based in Canada, they supply us with our Greens Mixes, Mushroom Blends and Salves. These products are recommended to encourage long-term, sustainable lifestyle changes. This prevents recurring disease, provides longer lasting results, and improved overall health and wellness. We know that sometimes taking herbs can be a bit of a hassle. Dao Labs has created high quality herbal formulas in easy to use, flavoured packets! Not only do we offer them in the clinic, but you can also order them straight to your home! Use this link to receive 10% off when ordering online!